work. I’ve used XDM, and it took me only a short while to make sure it allowed my favorite desktop. Wasn’t nice, though. I think they have some issue with GDM for Debian systems. I don’t know where it broke, but it used to happen on my laptop as well. Now it has stopped doing it, for some unknown reason, which means I will have to compare package versions. On another note, and a post I’ve tried to add here, just before my computer froze. 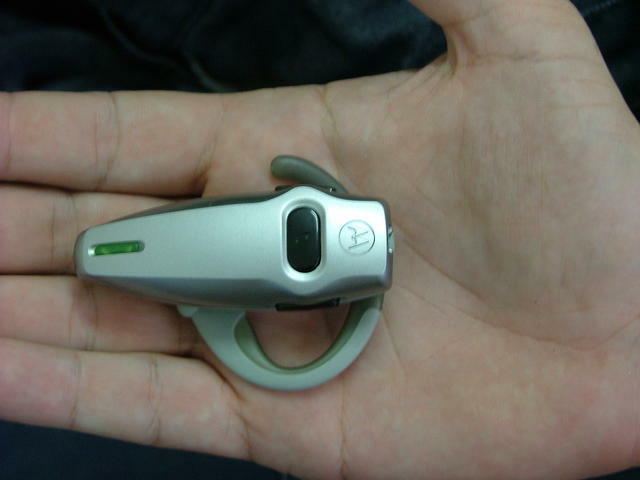 I’ve had a BlueTooth headset – Motorola HS805 for a short while now. This BT device uses AAA batteries, which means it’s a bit large, but can hold lots of time. Moreover, it’s design is one which will not penetrate one’s ear canal, but will remain outside of it, aka, external to the ear itself. It’s good. You don’t feel like someone’s poking his finger into your ear. It also has a good sound quality, which makes it a good product. However, one flaw which I couldn’t ignore rendered two such devices as useless (and broken) for me. The battery compartment cover is being held shut by two small plastic pins, or holders. Tiny as they are, holding the whole might of the battery and the spring at which it is pressed, leaves, at least for me, a very high chance of breaking one of those pins. When you break one, you soon break the other. Front view. Large, but acceptable. It happened on the first Motorola HS805 device I’ve had, and, somehow, I was able to replace it in the store. Two weeks later, careful as much as I could be, I’ve managed to break another such BT headset. I felt frustrated, but due to life’s course, put it aside, and moved on. Two days ago, I’ve found it, and I’ve decided to invest the time, and try to replace it, or have it fixed. The store sent me to Motorola support and repair center, and there I was told that this BT was broken due to unreasonable usage (Me? I’ve used it in the most reasonable way! I replaced battery! 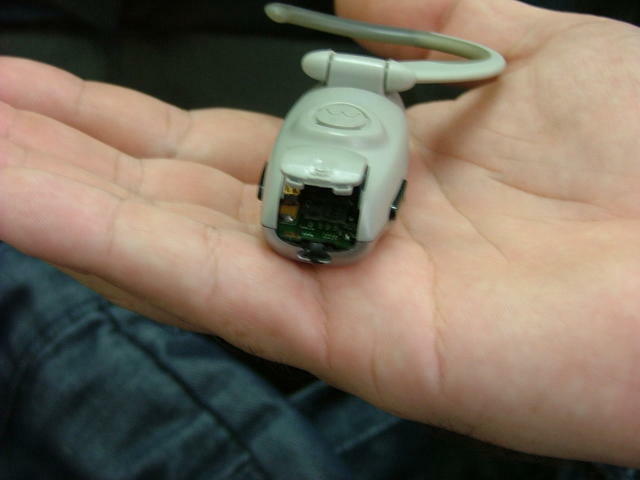 ), and they don’t have spare parts, so nothing can be done. sites. I better learn again how these sites work, but it sure decreased my confidence with the review systems on the net. Trying to add a review, everything seemed to work, but it never got into the system (two days has passed!). Weird. I’ve linked some sites showing the same reviews. For you pleasure, and concern. It sure made me concerned. There’s also one from Amazon, but that actually sums most of them up. This entry was posted on Tuesday, August 9th, 2005 at 8:40 am and is filed under General Hardware. You can follow any responses to this entry through the RSS 2.0 feed. You can leave a response, or trackback from your own site.